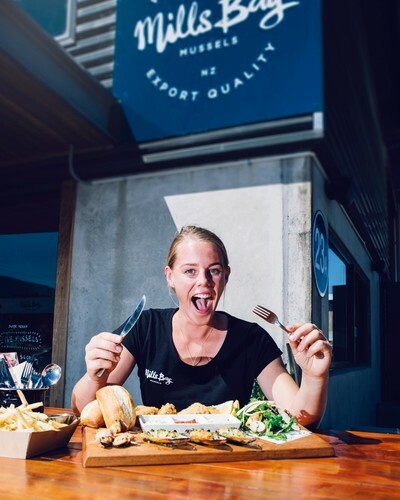 Shuck your reservations and roll up your sleeves: it’s time for an unforgettable food experience… Think you know this humble Marlborough mollusc? Think again. The team at Mills Bay Mussels know a thing or two about preparing the perfect mussel. Try them grilled, crumbed, smoked, beer-battered, bacon-wrapped, in a chowder, croquette, fritter and more! Located on the Havelock Marina, within view of the pristine waters of the Marlborough Sounds, discover the charms of the lovely and picturesque seaside village of Havelock, along with local coffee, honey, live entertainment and much more. $10 entry fee. Booking not required, just turn up and enjoy!